Printed on 16 pt paper--a heavy weight stock that is durable enough to withstand a lot of handling. Our four color printing assures that your design will be enhanced and vivid colors will attract your audience's attention. 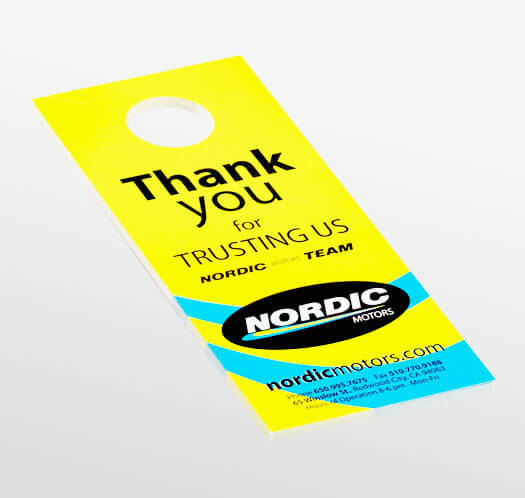 We've made Gloss UV Coating the standard for Door Hangers since the main goal is to captivate the customer attention. The high shine given by the UV coating will definitely make your marketing piece more noticeable. Our door hangers follow a simple template, but we encourage creativity. We are capable of producing custom dies and provide you with an original piece. Speak to one of our product specialists to get started on your project. 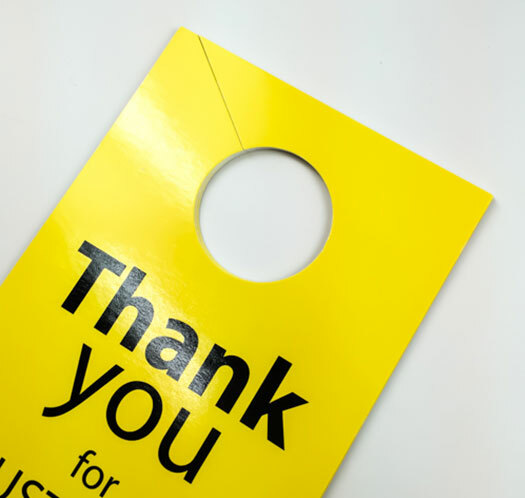 Door hangers are widely used for local marketing since information or promotion is brought directly to your customer's door. It is a fun way of promoting a new business or reiterating an old one. 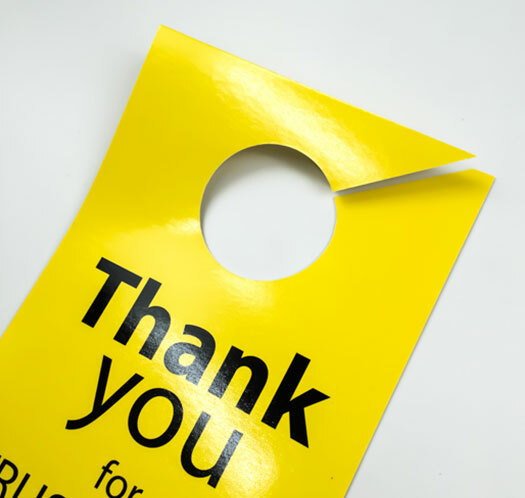 Design your door hangers to hit two birds with one stone; not only designed to bring attention to your brand, but also to get them to your door. Promote a special offer by adding a specific coupon to your design, this way, you are also able to track the efficacy of your campaign. Not all projects are created equal. For a one-of-a-kind door hanger made just for you, contact us to speak with one of our product specialists.